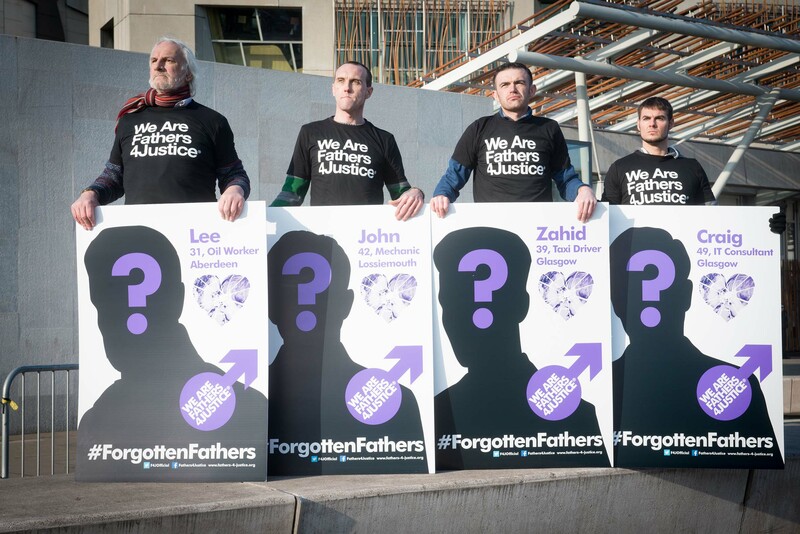 Fathers4Justice launched their “Forgotten Fathers” campaign on Valentine’s Day outside the Scottish Parliament with MSPs, Bill Kidd (Scottish Government Chief Whip) and Fin Carson. 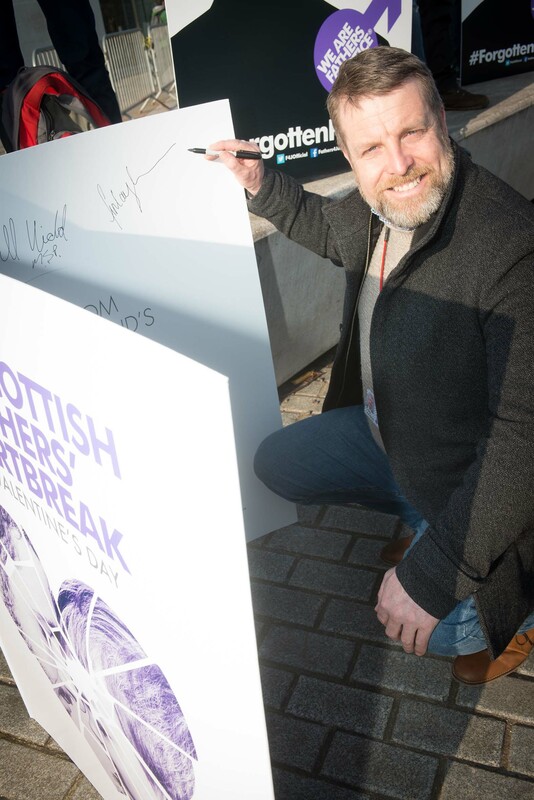 The event attracted widespread media coverage on Scottish television, radio and in the press including The Scottish Sun, The Scotsman and The Sunday Post. 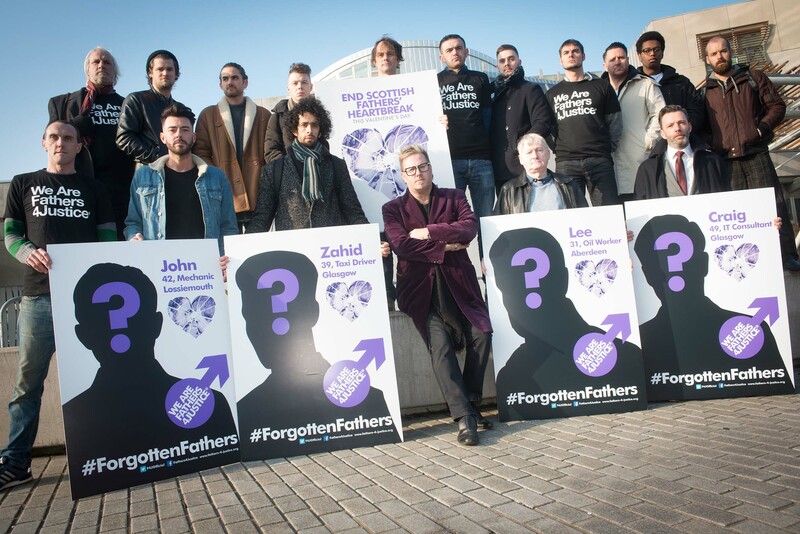 Research published by Fathers4Justice found that 23% of Scots believe that mothers love their children more than fathers. 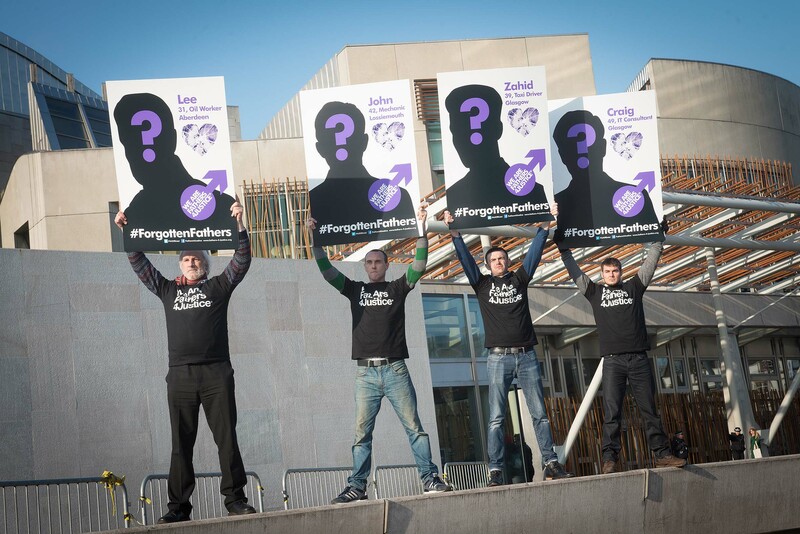 A written question has now been tabled in the Scottish Parliament by MSP Liam McArthur asking the government for a response to the campaign. 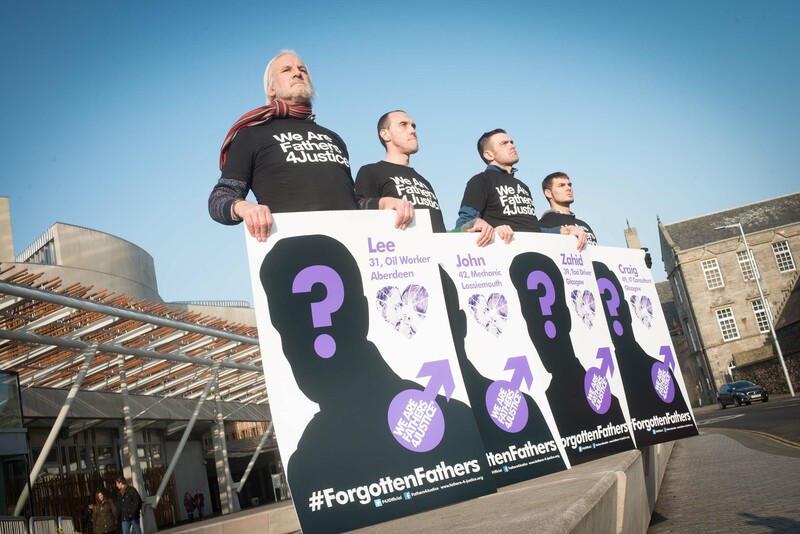 F4J founder Matt O’Connor is now hoping a motion can be set down in the Parliament to support the campaign. * 23% of people believe that mothers love their children more, but only 1% believe fathers love their children more. 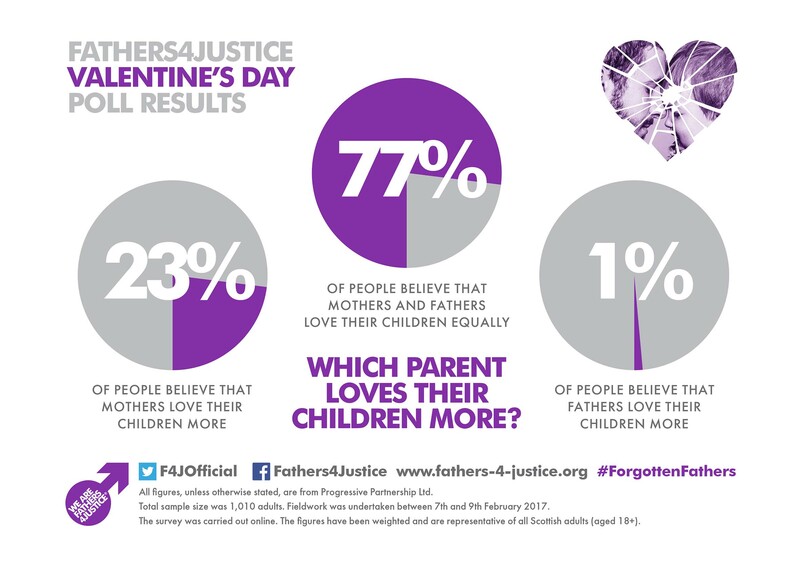 * 20% of men believe that women love their children more, whilst only 1% believe that men love their children more. * 25% of women believe that women love their children more, and less than 1% of women believe men love their children more. 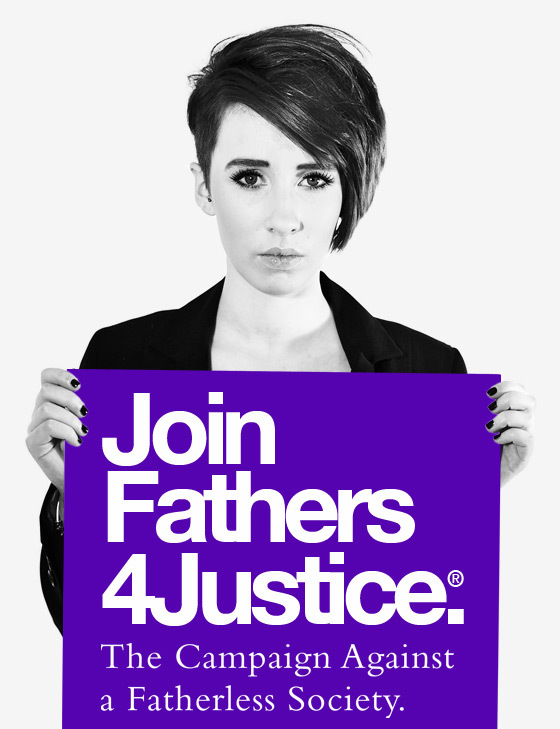 * 35% of separated / divorced people believe that women love their children more. * All figures, unless otherwise stated, are from Progressive Partnership Ltd. Total sample size was 1,010 adults. * Fieldwork was undertaken between 7th and 9th February 2017. The survey was carried out online. 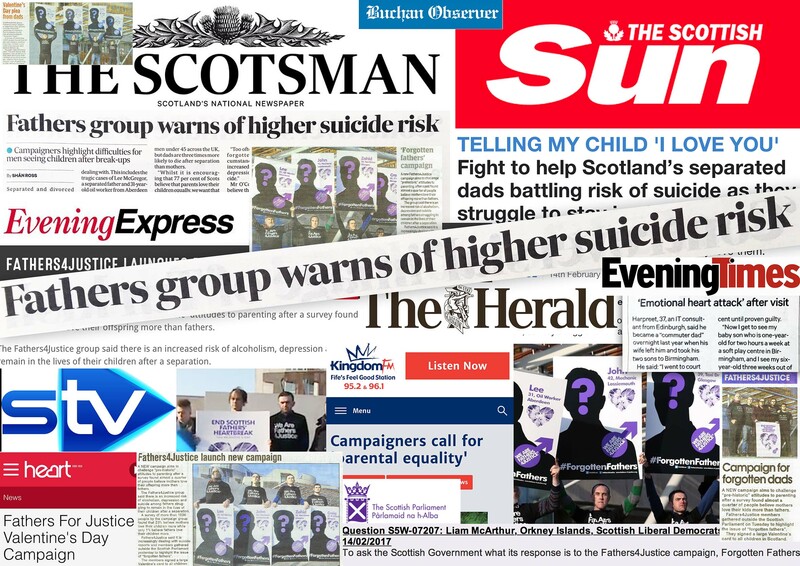 * The figures have been weighted and are representative of all Scottish adults (aged 18+). This spreadsheet contains survey data collected and analysed by Progressive Partnership Ltd in partnership with YouGov plc.